Design thinking takes the perspectives, knowledge, and skills of everyone involved in the development process into consideration. For the end result to appeal to all stakeholders, analyzing customer data to solve problems is key. In the following e-guide, Matt Schulz reveals how this new age approach improves workflow and promotes innovation in app development. 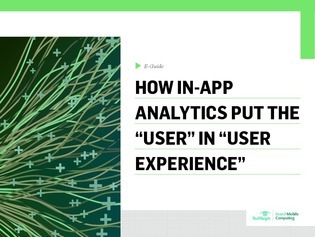 Learn from experts how in-app analytics increase the likelihood of success in the design thinking outcome.